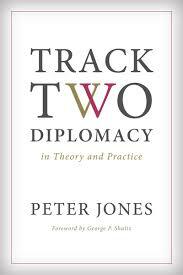 There is a back story to this page and the comparable one on comparative politics. 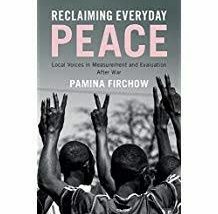 A few years ago, a former colleague at the Alliance for Peacebuilding suggested I should write summaries of the books I read and share them. Her point made sense to me then because I actually read a lot, do so in multiple fields, and include both trade and academic books that friends and colleagues should know about. I never followed through until I saw that same friend at a conference just as I was building this web site. She reminded me of the conversation, and this feature of the site was born. It will include books that I think a) are important and b) are worth reading. 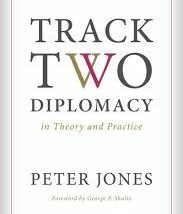 I’m not going to waste your time or mine by including a book that doesn’t help us deal with some significant aspects of wicked problems in either political science or peacebuilding. 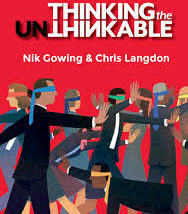 It is going to take me a while to work through the backlog of books I’ve read on my iPad which functions as my Kindle. 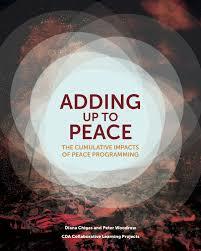 You can expect to find at least a book or two a week added to this page and/or the comparable one on peacebuilding. And, as always, send me suggestions of books to read and review. 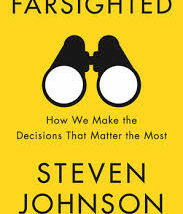 To read these short summaries and reviews, just slide your mouse or your finger across the book’s image below and click. 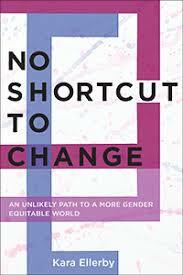 I don’t usually review books that are aimed at specialized audience. 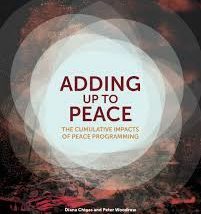 I made an exception for Diana Chigas and Peter Woodrow’s Adding Up To Peace a) because they are friend and b) more importantly, they take on the toughest challenge we peacebuilders face. How do we build on what we accomplish in a particular community and turn it into lasting peace that holds for an entire society. 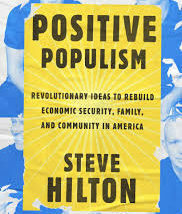 Wherever you stand on the political spectrum, you'll find something to love AND something to hate in Steve Hilton's new book, Positive Populism. That's exactly why you should read it. And think about it. I'm a recent convert to the work of Brené Brown. 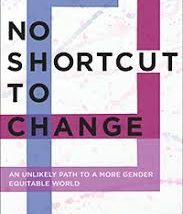 After years of focusing on such things as shame and vulnerability, she has flipped the hierarchy and dealt with leadership in her most recent book with its intriguing title, Dare to Lead. 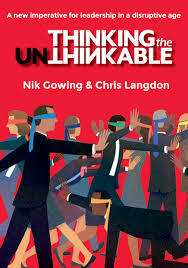 What's unusual about the book is that she does not focus on traditional forms in which I exert leadership over you. 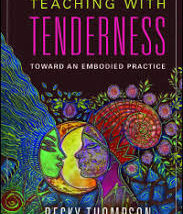 Instead, she explores how I lead with you but also how I lead within myself. 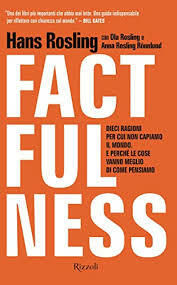 For all of those reasons, it is a book worth reading. 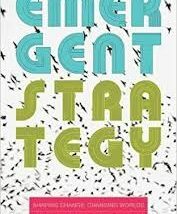 Because I include a chapter on Germany in my comparative politics textbook, I'm always looking for insightful books on the long-term legacy of the Nazi years. 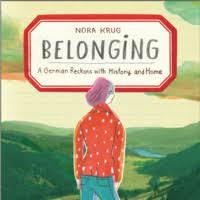 So, when I saw a review of Nora Krug's Belonging (simultaneously published as Heimat in German), I immediately bought it for two reasons. 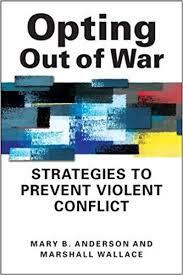 First, Krug (born 1977) is a generation removed from the Nazi experience. Still, she is obsessed about its impact, especially on her family. Second, Krug teaches illustration at Parsons School of Design, and the reviews said the images were as valuable as the prose. They were right. 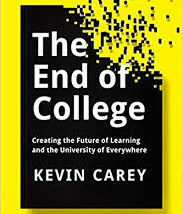 I have been thinking a lot about higher eduction these days, because I'm increasingly unhappy about the state of things these days. 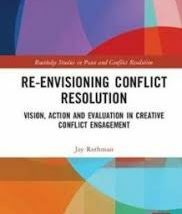 Then, I spent a weekend at Oberlin planning my fiftieth reunion and came away quite excited about some of the interesting things they are doing. 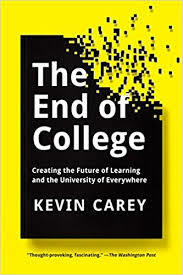 So, I decided to go back and reread Kevin Carey's book, The End of College, which had helped strengthen my grumpiness when I read it three years ago when it came out. 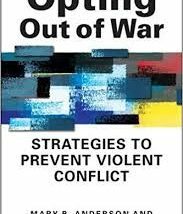 Over the last few years, I’ve spent a lot of time reading books by business school professors who wrote for popular audiences and raised issues of interest to peacebuilding and/or comparative politics. Sometimes, the connections weren’t always obvious. 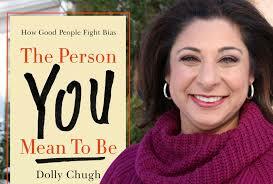 They certainly were in the case of Dolly Chugh, The Person You Mean To Be. 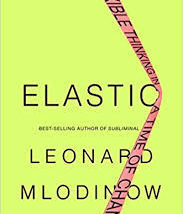 In many ways, hers is typical of this kind of book in that she explores personal shortcomings that keep us from reaching our fullest potential. 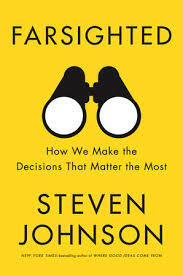 Steven Johnson is one of my favorite writers. Over the years, he has gotten me to rethink paradigm shifts (they happen in a more piecemeal fashion than I used to believe) and evolution (we can plan at some of our mental—if not our physical—evolution as a species). 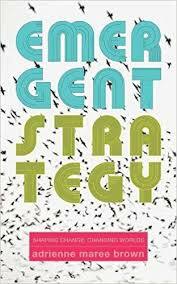 So, I read Farsighted the day it arrived on my Kindle. 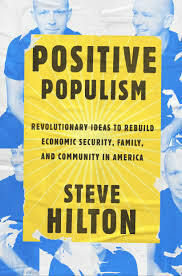 The same political polarization that grips the nation has hit American college campuses, including most of the elite schools that produce a disproportionate share of our country's leaders. 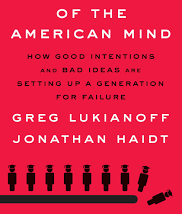 In this provocative new book, Greg Lukianoff and Jonathan Haidt explore some of its contours, causes, and consequences. 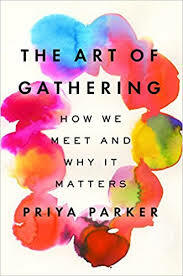 It is provocative precisely because it goes way beyond university life to address broader issues involving everything from the way we raise our children to broader polarization that has only gotten more intense than it was when they finished the book. 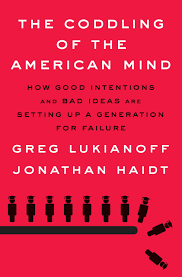 I do not agree with everything they say, but the book is a must-read for anyone interested in the fate of American higher education and society, both of which have been at the heart of my life since I was a student in the differently polarized 1960s and 1970s. 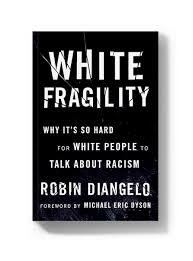 Like many progressives who came of age in the 1960s, I'm struggling to figure out why we haven't made more progress on race relations in my adult lifetime. 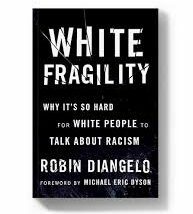 Robin DiAngelo's White Fragility helps us do so by showing why whites have a hard time discussing race, seeing their role in perpetuating inequality, and how we could break ourselves out of that logjam. I belong to the Next Big Idea Club. 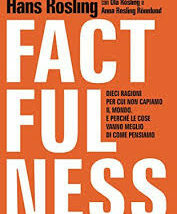 It was created by Malcolm Gladwell, Adam Grant, Susan Cain, and Daniel Pink to promote the ideas of the next generation of thinkers whose insights might change the world. For a fee that is roughly the equivalent of the cover price, they send me eight books a year that they think will change lives AND send a copy to a teenager in an underserved community. So far, they haven’t disappointed. 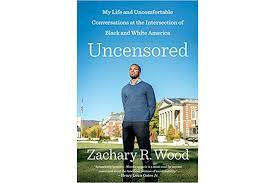 One of this fall’s two books is Zachary Wood’s Uncensored, which is must reading on two levels, the second of which I want to focus on here. 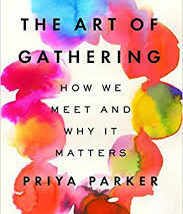 If you hate meetings, this is a great book to help make the meetings (and other gatherings you attend) more interesting and useful. 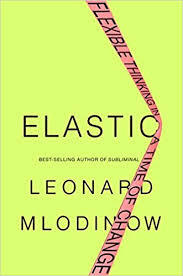 Leonard Mlodinow's new book made me think about the way I think about peacebuilding and more. 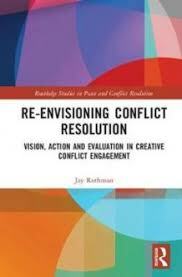 Re-envisioning conflict resolution at home and abroad. 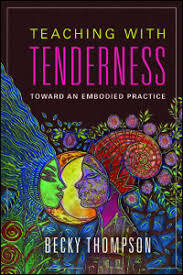 Teaching With Tenderness made me rethink everything I did in the classroom and what I still do as a facilitator and mentor.